On the 23rd day of the Eighth Tibetan month, Western calendar date October 2nd 2018, Tashi Menri Monastery in Dolanji, India will begin an intensive seven-day retreat for the yidam Gekhö. 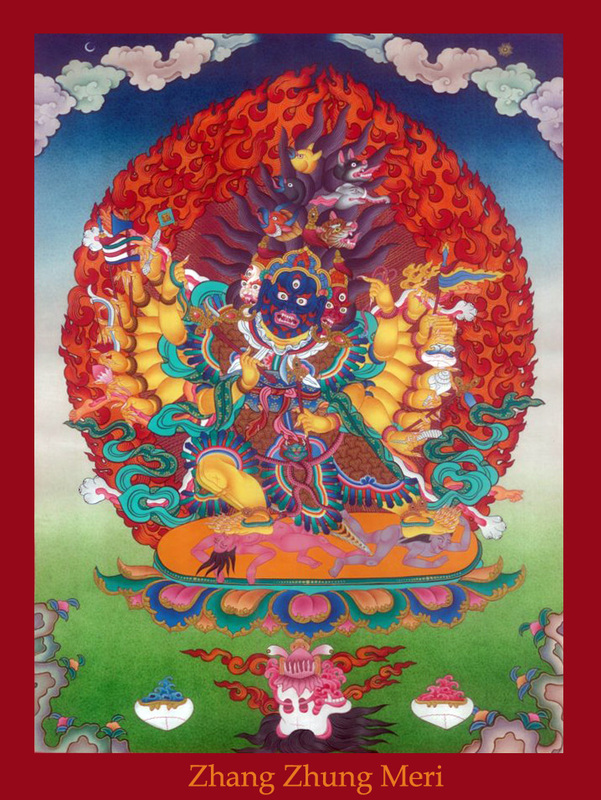 Specifically, they will perform the practice from the text compiled by His Holiness 1st Menri Trizen Nyammé Sherap Gyaltsen Rinpoche, “Gekhö Sangwa Drakchen, The Fierce, Secret Gekhö.” This retreat will conclude on the 29th lunar day, October 8th 2018. One manifestation of Gekhö is Zhang Zhung Meri. This yidam deity is closely associated with the dzogchen practice of the Zhang Zhung Nyen Gyü, The Aural Transmission of Zhang Zhung. The practice of dzogchen is, by definition, perfected and beyond needing to apply any methods to develop it. 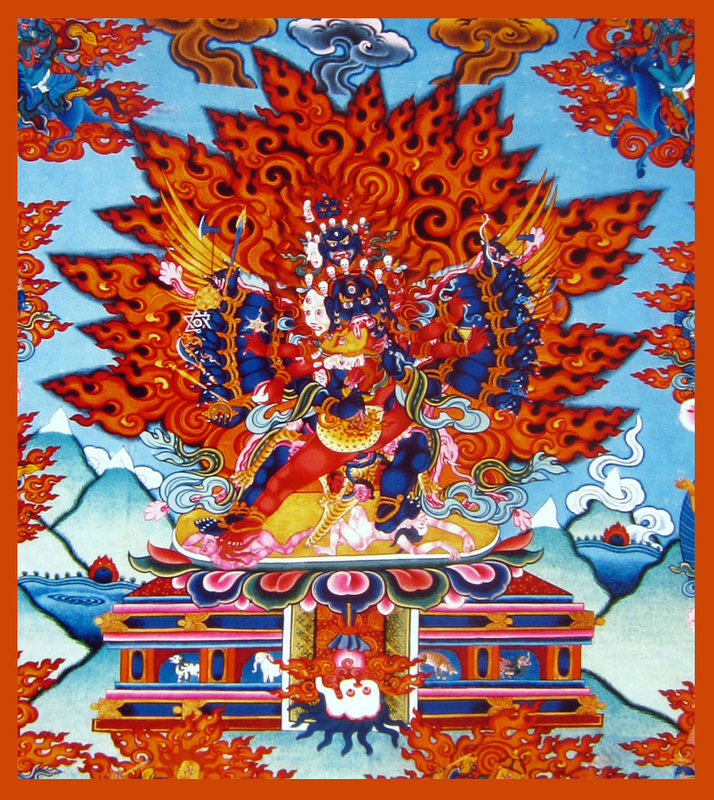 However, because the practitioners of dzogchen have not yet fully realized this primordial perfection, the deity Zhang Zhung Meri offers protection and support. Posted on September 29, 2018, in Iconography, Prayer and Ritual, Tibetan Lunar & Religious Calendar. Bookmark the permalink. Leave a comment.